Containing only organic ingredients, this Essential Food powder is an energy booster and natural foundation for health. SKU: GGF001. Categories: Green Foods, Green Foods. 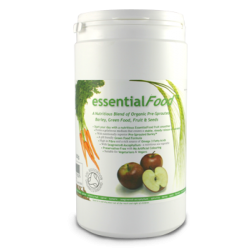 Essential Food is a green nutri-food drink, composed of natural ingredients, which when blended with organic apple juice makes a natural-tasting smoothie filled with great ingredients. 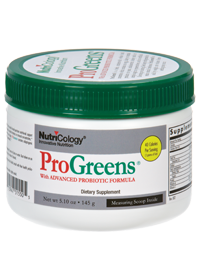 Essential Food Powders’ potency revolves around the inclusion of one key ingredient: Pre-Sprouted Barley. This new medium has the potential to generate 400 percent more energy than conventional barley, containing a host of vitamins, minerals, amino acids, essential fatty acids and enzymes. Using a new patented process all the enzymal and nutrient activity in the barley grain is captured just prior to sprouting. This new medium has the potential to generate 400% more energy than conventional barley and contains a host of vitamins, minerals, amino acids, essential fatty acids and enzymes. Essential Food also has added organic B Vitamins, which is unique among drinks of this kind, and allows a vitamin drink which is totally organic. Pre-sprouted Barley has an 11% protein content but, more importantly, the ratio of the eight amino acids within it virtually mirrors that of the human body. This means the body can more effectively assimilate essential protein. With Pre-Sprouted barley as an initial constituent, a selection of organic and natural ingredients were added to create what is, in essence, a super food formula that contains all key nutrients. Best taken when mixed with apple juice. Suitable for organic, vegetarian, vegan and kosher diets. Please consult a medical professional before taking this product if you are pregnant, breastfeeding, suffering from a medical condition or on prescribed medication.